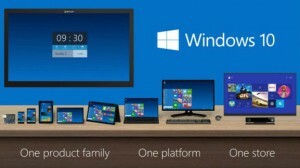 In late September Microsoft announced the Technical Preview of its latest operating system, Windows 10. As usual, our presenter, Bob Coppedge from Simplex-IT was first in line to obtain his copy and he has been putting it through its paces on the test bench since then. We think you’re going to be impressed with what Bob has to report. And there’s more. You’ll even learn the question everyone has been asking – Whatever happened to Windows 9?